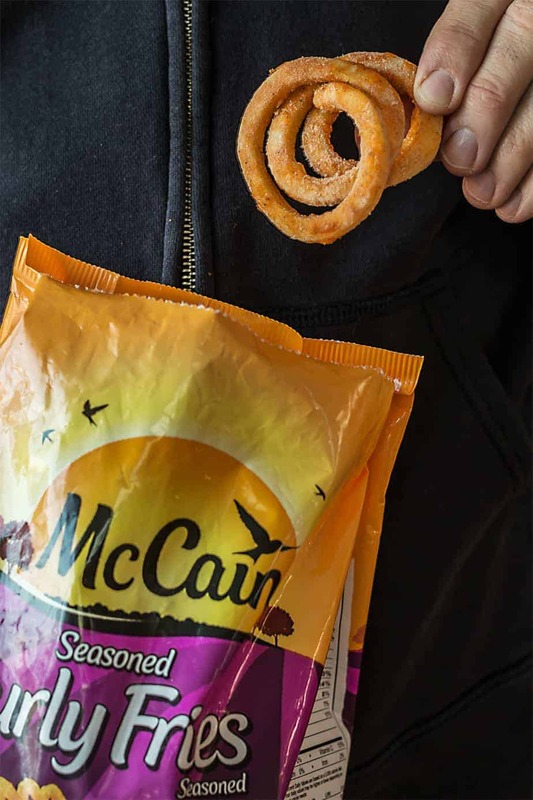 “This is a sponsored conversation written by me on behalf of McCain Foods. 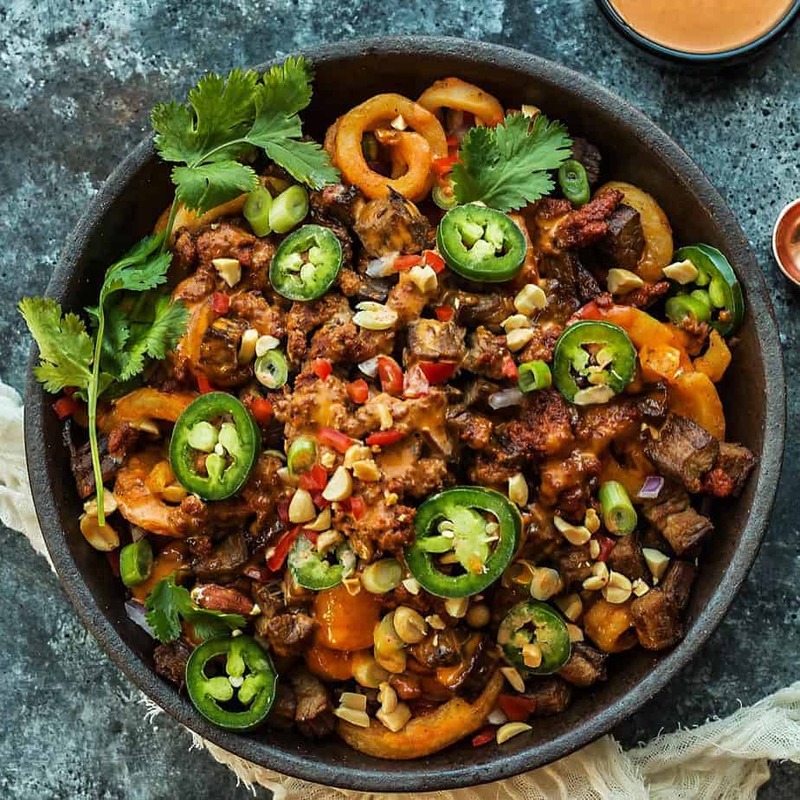 The opinions and text are all mine.” Enjoy this Loaded Fries Korean Beef Steak Style recipe! 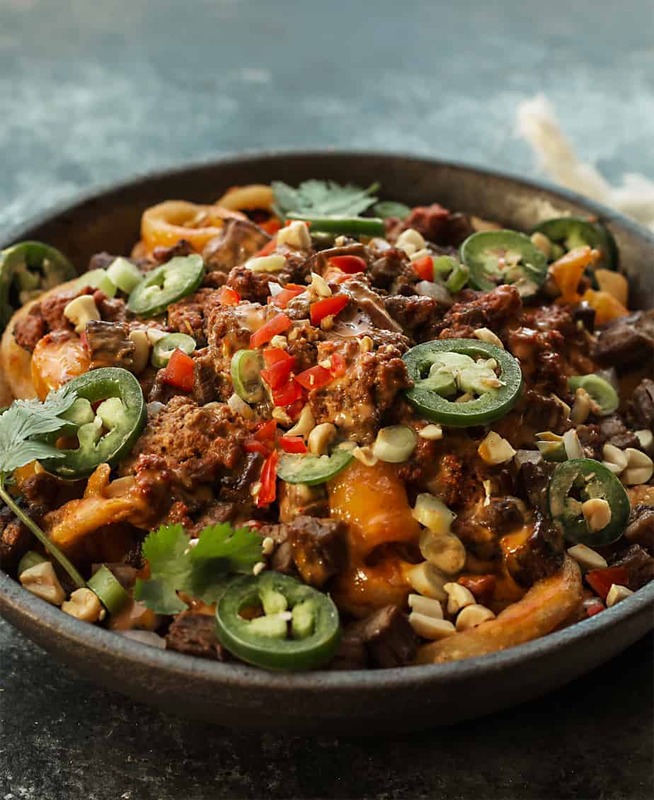 Loaded Fries are the perfect game day food, and topped with flavorful Korean beef, they’ll likely have your friends and family asking for seconds. Loaded fries have become a recurring food in our home, especially at this time of year with the abundance of college and pro games on the tube. The Korean beef sets this one apart from others I’ve had and hopefully becomes a new staple in your rotation. These work well as an appetizer or an entrée, and check the trifecta of boxes for savory, salty and sweet. I’m personally very excited for some of the bowl games this year, I love seeing the Big 12, SEC, PAC 12 and other conferences square off. With the college football playoffs, we have reason to host another night or two of football gatherings, which I know my husband is all over. This gives me a chance to try out more game-day recipes. It’s usually an easy crowd as they’re happy to be watching sports and will grub down almost anything I put out there, but I already know that this dish will be their favorite that I put out. I recently picked up a meal from a Korean food truck that was parked at one of the local microbreweries, which gave me inspiration for this meal. Their dish was completely different, but the traditional Korean beef flavors in a fusion appetizer was an eye-opener for me. I am fully on-board with the food truck revolution as it gives another opportunity to showcase brilliant food creations. There’s a huge craft beer craze here. Although I don’t drink as much as my husband and his buddies, I do love the food that comes with it. When I start making appetizers, cheese is often the first thing I grab. I held off and went cheese-free on this appetizer and found the taste to still be 100% crave-worthy. Since there’s no cheese and with the Korean beef being a little bit dry, I opted to juice everything up a bit with some chorizo. Like most fry appetizers this one is very customizable as someone could add cheese or take out the chorizo and be just fine. In fact, next time around, I plan to add in some diced tomatoes and avocados. Start planning early! I shoot for about 5 days prior to the party and kick things off with an invitation. Have a detailed list of the following: what to cook, how much food you’ll need, where to buy which things, guests with allergies or other dietary needs). Finger foods. They are so easy to make and great for a big crowd. Determine the game-viewing area (make sure it’s open and that there’s enough space for your guests). Cook ahead of time (and ask for help if needed). Keep party beverages on ice. Use paper or plastic utensils for a simple clean-up after party. Keep trash can or bags visible, so your guests can remove junk immediately. Make it a potluck party? Something to consider for certain occasions. Keep the kids busy and away from blocking the game-view area. Plan a fun game for kids to play and keep them occupied. Have some extra games around the game itself: Each guest guesses exact time of first points, total points for each quarter, longest field goal of the game, etc. Combine the marinade sauce ingredients (except the vegetable oil) and add the meat. Transfer into a zip lock and marinate in the fridge for at least 4 hours or overnight. Heat the vegetable oil in a skillet over high heat and cook the steak for about 4 minutes on each side or until browned. Cut the steak into small pieces, set aside. 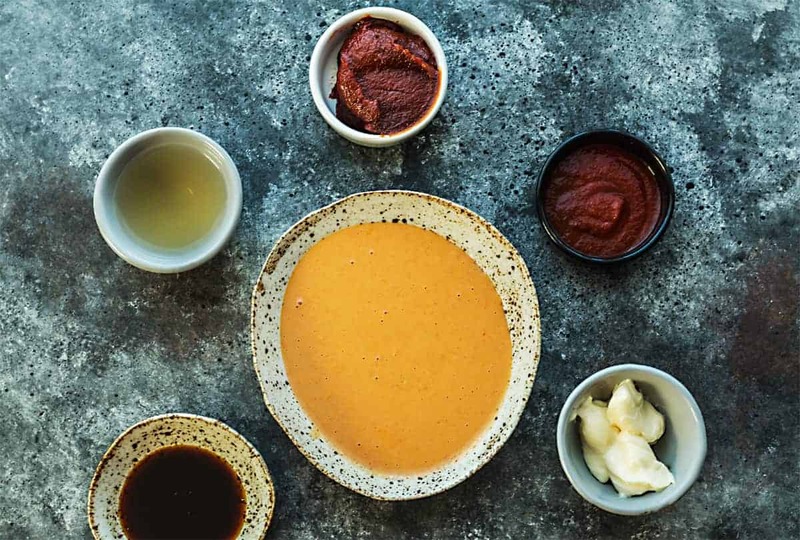 In a medium mixing bowl, combine all the dressing ingredients above until well blended. 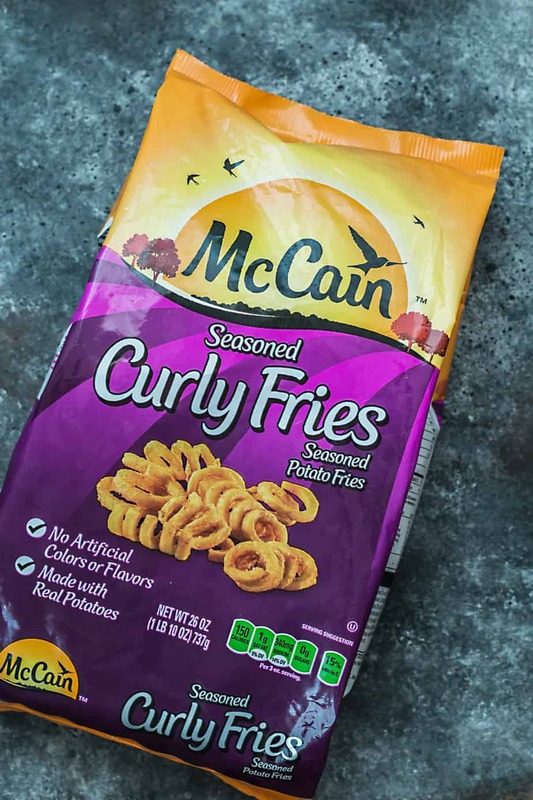 Cook the McCain Seasoned Fries according to package directions. Place the fries on the bottom of the plate and top with steak, chorizo and drizzle with some of Asian dressing. Sprinkle with toppings: crushed roasted peanuts, cilantro and chopped jalapeño. Serve immediately. Yum, those Loaded Fries Korean Beef Steak Style look super delicious! I’ll definitely have to try this recipe out soon. I would love to dig into your Korean Beef Loaded fries! I know my guests for the Super Bowl will go crazy over these. They look absolutely delicious! These loaded fries with Korean beer steak style sounds delicious. I would love to try these and this would make for a great game day food idea too. Thanks for sharing the recipe. Oh my gosh, these look so tasty! I will be saving this recipe to try out in the future. Korean beef is divine! The korean beef steak looks really rich in flavor. I would also want the curly fries included in the meal. Oh that looks so good! I love spicy dishes, so adding the jalapeno really appeals to me! I haven’t had these fries before, but they look good on their own! Oh my gosh I’m drooling just looking at the page! I would love to try almost all of this. Those curly fries make me hungry just looking at them. Om nom nom nom. Get in my belly, you delicious Korean masterpiece! I have to try this immediately. Korean beef steak sounds really good and adding the fries will make the kids happy. Love korean food. These korean beef loaded fries look awesome. I love that you used curly fries. Curly fries always help you grab more of all the toppings. I absolutely love loaded fries of any kind. I’ve never tried Korean beef though. I’ll have to give this a try. And I love food truck food lol. So, you had me once you stated that! Thanks for sharing! Oh this sounds fantastic! I have a weakness for french fries and always pile them up with toppings. What a different delicious idea for the big game! I love the fact of not using cheese too. Thanks! Loaded Beef with Korean beef sounds amazing. I will have to get the ingredients I need to make this for dinner this week. I am sure it will be a big hit. My husband would probably just love this. Loaded fries are definitely his thing, and this looks so amazing and delicious! This looks so so so good!! The sight of the hot peppers makes me drool, this looks absolutely delicious! I love Korean food and I miss eating bibimbap. I drooled while reading this. I can’t wait to try this out soon! Pinning for later!